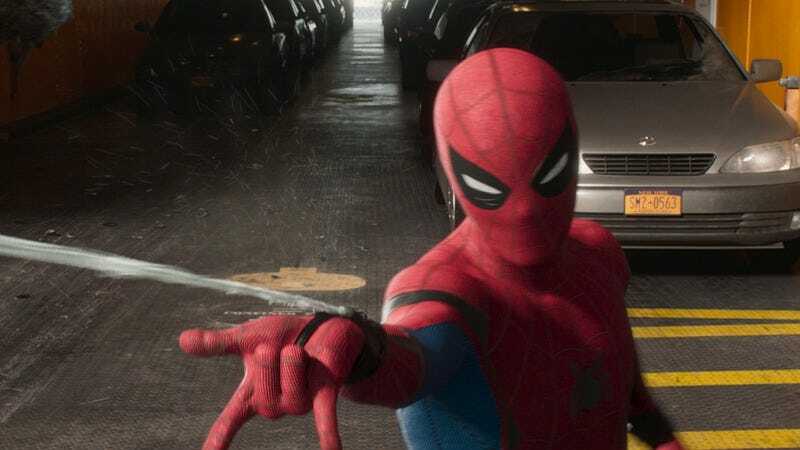 Rest easy, continuity crusaders: Marvel Studios knows exactly where the inevitable Spider-Man: Homecoming sequel fits into its overall narrative plan. This is per producer Amy Pascal, who recently told Fandom that the second MCU stand-alone Spider-Man movie will begin “minutes” after the upcoming Avengers movie, Infinity War. That lines up with what Marvel Studios’ Kevin Feige said earlier this week, at the Homecoming premiere. Much as Homecoming focuses on what it’s like to be a teenage superhero briefly brought up into the big leagues—courtesy of Robert Downey Jr.’s Tony Stark in Captain America: Civil War—Feige noted that the second film will apparently reflect how Peter Parker simultaneously deals “with the fallout of Infinity War,” as well as being a semi-normal high school junior. (Presumably, it’s pretty hard to focus on your schoolwork when you’ve just teamed up with the entire Marvel Cinematic Universe to battle a planet-threatening Mad Titan.) Still, we’ll have to wait (until July 2019, to be specific) to see what form that coping takes, whether it’s world-saving giddiness, or a more Iron Man 3-esque bout of cinematic PTSD.